LEGO Fan and flickr.com member Carson Hart created an expansion for Winter Village sub-series. 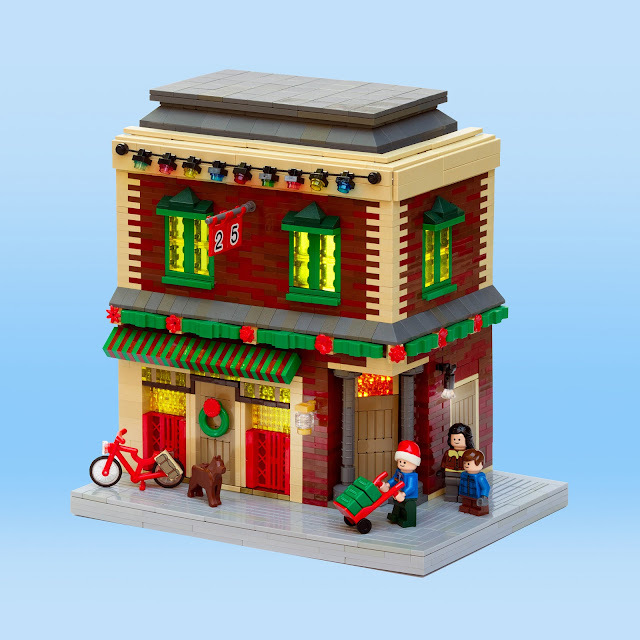 Winter Village: Corner Store contains little details and fantasric color-scheme about Christmas. Carson well used old gray and old brown pieces perfectly. I mostly liked the design of wooden doors and color scheme of plate-build brick wall.